Deino in game: 4,054 Who? Important notice! Pokemon Deino is a fictional character of humans. Deino (Japanese: ??? 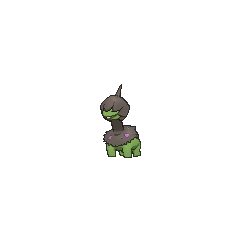 Monozu) is a dual-type Dark/Dragon Pokémon introduced in Generation V.
Three Deino made their debut in The Lonely Deino! under the care of a Day Care owner named Bobby who was looking after them for their Trainers. Two of the Deino were very rambunctious while one of them was shy and refused to eat. Iris tried to use her experience with Dragon-types to help it feel more comfortable around strangers. A Deino made a cameo appearance in Climbing the Tower of Success!. 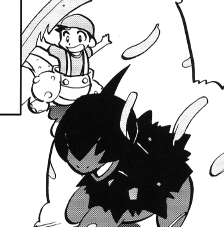 A boy named Leo used a Deino to battle Cheren's Unfezant in the quarterfinals of the Unova Pokémon League and lost. Much like its naming pattern, each member of its evolutionary line learns a Normal-type move that involves the number of hits. In Deino's case, Tackle. 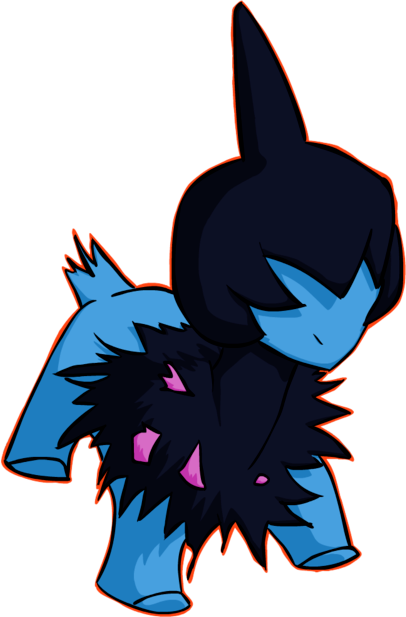 Deino is based on a dragon, specifically an infant form of the Yamata no Orochi. Due to its blindness and only being found near water in a cave, Deino may also be based on a cave salamander. According to interviews with Ken Sugimori in Nintendo Dream, Deino and its evolutionary family were originally intended to be cyborg dragons with aspects of tanks. The Pokémon were scrapped until late in development, when they were revived and remade to be based on Yamata no Orochi. 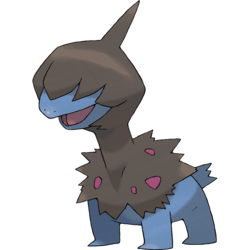 Deino may be a combination of dino (short for dinosaur) and ein (German for a, and part of the German for one, eins). It may also derive from δειν?ς deinos (Ancient Greek for terrible). It may also refer to dinosaurs and other prehistoric animals such as Deinosuchus and Deinonychus. Deino is also the name of one of the Graeae, the three sisters in Greek mythology who shared one interchangeable eye, leaving two blind while one could see. Monozu may be a combination of mono (prefix meaning one) and ? zu (head). Its full name literally means "one head". Mandarin Chinese ??? / ??? Danshoulóng Literally "Single headed dragon"